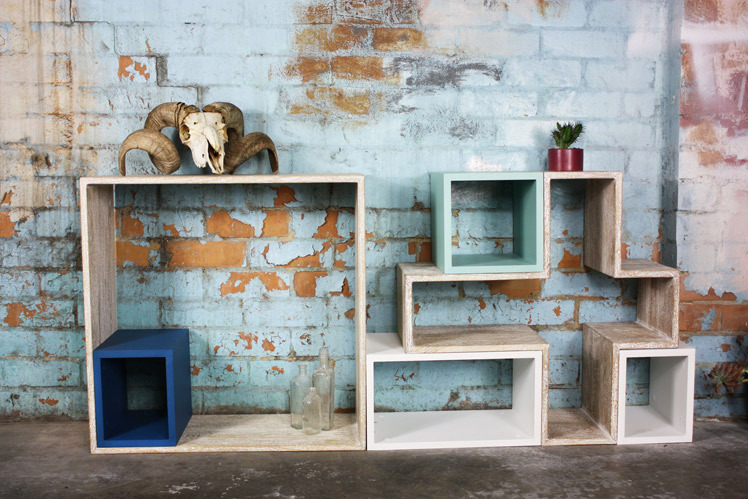 FK chats to Lucy, one of the talented creatives behind modular furniture label, Kuub! Tell us about your label KUUB and what the concept is behind it? 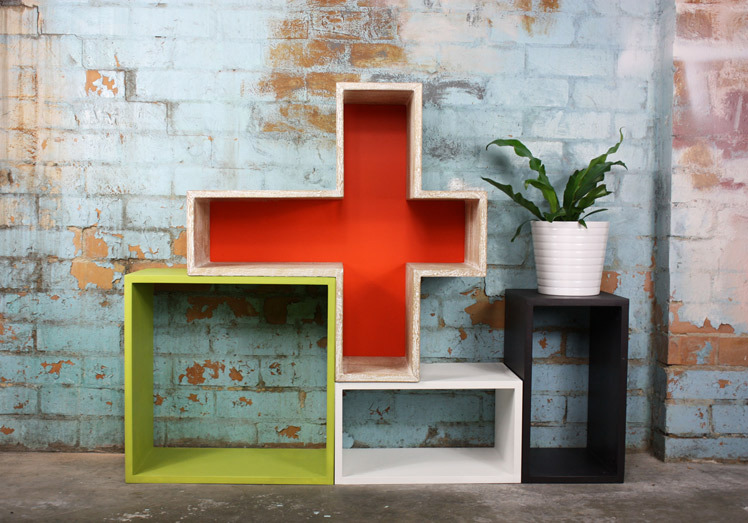 KUUB specialises in environmentally friendly modular shelving. All of KUUB’s products are made from sustainably sourced mango wood and finished with a water-based paint from a variety of colours, containing zero VOC’s. (Volatile Organic Compounds). 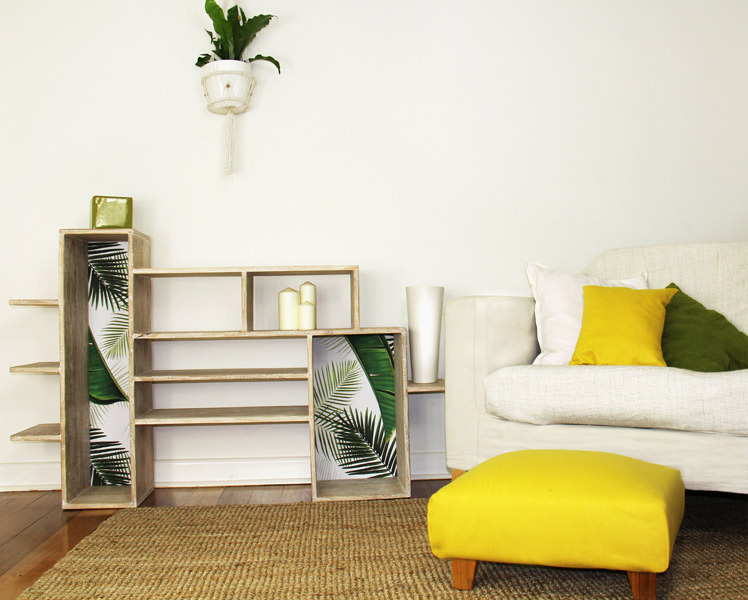 They are constructed by hand in Indonesia and feature backing prints that are designed by KUUB and are printed on sustainably sourced eco friendly self-adhesive quality wallpaper here in Melbourne. 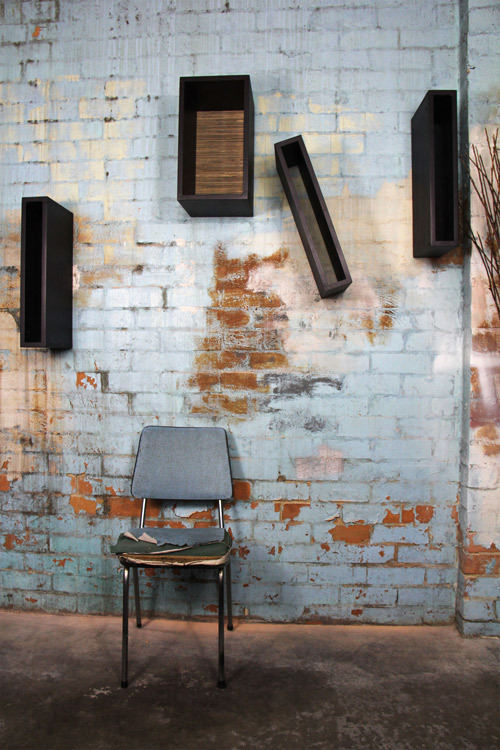 KUUB is a Melbourne based label with an aim to fuse sustainable thinking with contemporary design. It’s a creative, versatile and modern approach to furniture. We’re all about customer involvement so we have developed an option where you can design your own. We offer exciting on trend colours, a variety of shapes and seasonal backing prints using only sustainable materials. Who are the team behind KUUB and what are their roles? It’s an all over group effort here at KUUB, however Jasmine does the majority of the forecasting and design work. With a background in fashion she has worked as a product developer assistant and a print designer for Myer and also a number of other highly reputed fashion labels within Melbourne. 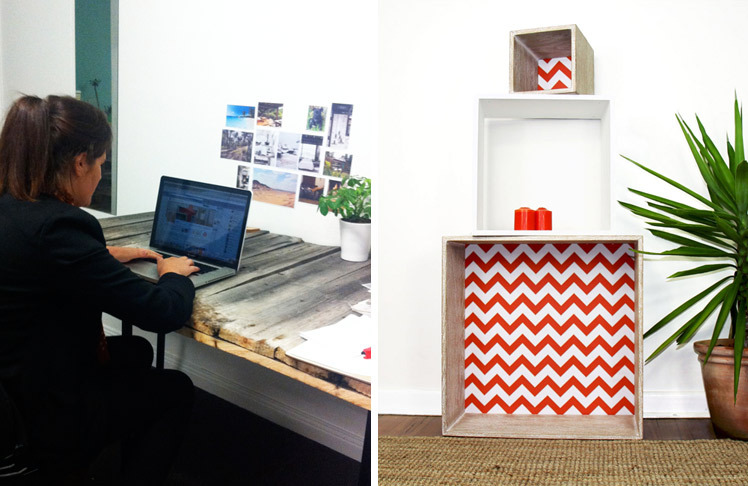 She now uses her creative talents to design the amazing KUUB shelves and prints that you see before you. While contributing to the design aspects of KUUB, Lucy manages the sales and production of the shelves. She controls the ordering, shipping logistics, managing manufacturing and ensuring the quality control procedures are implemented. We’ve also recently bought on board Lynn Mooney our head Marketing Guru. We inspire each other. We’re a close-knit team and working along side each other keeps us smiling and excited for the next step. Being on trend focused, we work hard at forecasting the next looks and with this being an inspirational base, we then add our own creative style to develop each seasons print collections and colour palettes. Melbourne being the creative hub it is, and our love for the incredible world before us keeps us motivated and enthusiastic. We have a studio space and office in Alphington and this is where the magic happens. It certainly wasn’t always what it is today, we put in some hard elbow grease to get it looking the way it is now! You can visit our space and see the shelves in the flesh, while testing and trying out what KUUB combination works best for you. Where do you source the wood for your range and are their challenges in doing so? The shelves are hand crafted from sustainably sourced mango wood. There have been some challenges in obtaining a sustainably sourced, high quality wood, with a manufacturer that lives up to our quality standards. However we are now directly affiliated with the Tree’s for Tree’s organisation, which ensures the supplier is sustainably certified. They that assist the environment and communities through reforestation initiatives and as an affiliated partner, a tree is planted on our behalf every time we construct a shelf, further reducing our carbon footprint. What can we expect to see from KUUB at the upcoming Melbourne Markets? 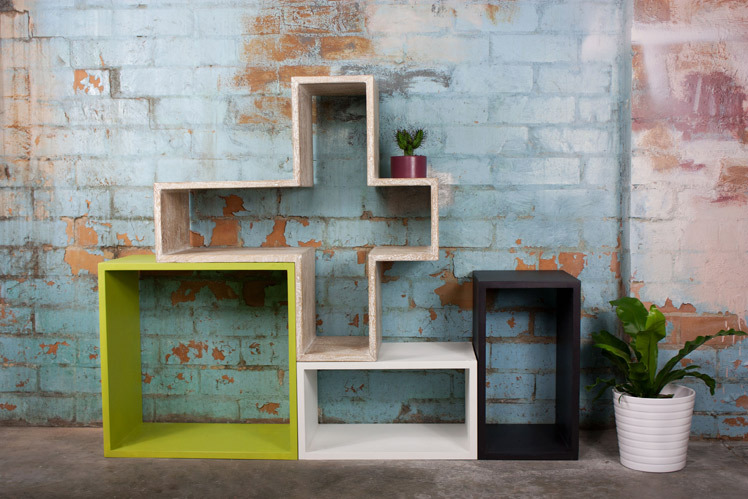 We have an exciting range of stand alone cubes that have the versatility to be stacked, re-arranged and even wall mounted. They can be made in a variety of on trend colours and clients can choose custom designed backing prints to suit their decor. And the best part? – When you get sick of the layout, you can just rearrange them and create an entire new design! Backing prints are also interchangeable and easily updated seasonally via our website!